"Andrea Custer is a sensitive, knowledgeable editor and writer who has a keen critical eye and a gift for locating a writer's strengths and bringing them to the fore. She reads with compassion, insight and attention; any young writer would be lucky to have her lighting their way forward." 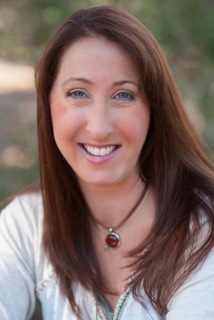 Write Together was founded by aspiring author Andrea Custer. When not working on her own works in progress, Andrea coaches her kids' Odyssey of the Mind teams. Inspired by the students involved in Odyssey of the Mind, Andrea began looking for a way to blend her interest in creative writing with the Odyssey of the Mind approach to teaching creativity. Desiring a relaxed, unstructured environment where ideas could incubate and inspiration could take hold, Andrea decided to model Write Together classes on a workshop-style creative writing experience. Find out more about Andrea on her author page. Andrea has been coaching Odyssey of the Mind for the last five years, and fully embraces Odyssey's guiding belief: creativity can be taught. Though there are many aspects to Odyssey of the Mind, the one that is predominately incorporated in Write Together workshops is the use of spontaneous problem solving. In our Creative Writing Meets Odyssey of the Mind workshop, both traditional writing prompts and adapted Odyssey-style spontaneous problems are used to develop character, plot, setting and scene. Find out more about Odyssey of the Mind by visiting their website. Find out more about Write Together workshops by clicking on the Classes page above.